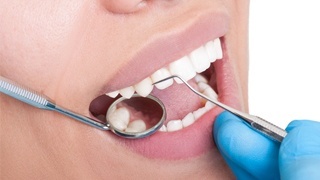 The vast majority of individuals will suffer from tooth decay at some point. Diet, genetics, oral hygiene missteps, and more can all take a toll on our teeth. 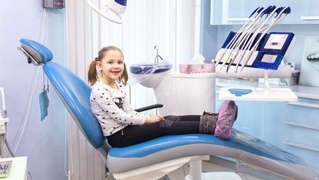 Fortunately, modern dental technology enables us to catch tooth decay while it is still in its earliest stages — before it causes pain and leads to the need for major (or even minor) restorative work. In our practice, we use CariVu and DIAGNOdent to identify weak spots in the teeth so we can provide prompt treatment. To understand the value of advanced cavity detection technology, it’s important that you understand the basics of how cavities form. Acids in plaque and tartar eat away at the tooth enamel, thus leading to decay. But did you know that the decay starts just below the surface of the teeth? Only after the decay has progressed does the surface of the tooth collapse, leading to a cavity. Therefore, even if your teeth do not have any holes in them, they could still be suffering from early decay. Traditional decay detection methods, such as through visual examination and with the use of a dental explorer, can detect even small cavities. However, they are not as reliable when it comes to identifying decay beneath the tooth’s surface. CariVu and DIAGNOdent, on the other hand, can detect subsurface tooth decay. DIAGNOdent is a pen-like device that emits laser fluorescence. As your dentist in The Colony passes it over the teeth, decayed portions of the dental structure will exhibit more fluorescence than healthy areas. 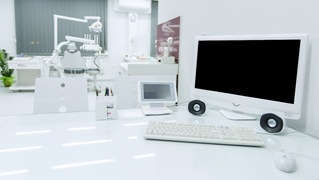 CariVu uses an infrared light to detect tooth decay. It captures images of the teeth, wherein areas of decay appear dark, while healthy areas appear light. DIAGNOdent and CariVu offer a number of significant advantages, foremost of which is that they allow our team to recommend interventive treatment to stop cavities before they finish forming. To treat subsurface decay, we may give personalized recommendations on how you can improve your oral care regimen at home. For example, you might need to drink more water, change your brushing techniques, or cut back on sugary and acidic foods. We might also recommend that you receive a fluoride treatment. They don’t emit ionizing radiation. Therefore, they’re completely safe for any patient, including pregnant women and young patients of a children’s dentist in The Colony. They’re wonderful tools for patient education. They can give you insight into your oral health and equip you to take the best care possible of your precious smile. The scanning process is quick and painless. Not every practice in our area has invested in CariVu and DIAGNOdent, but we have them in our office because your satisfaction and oral health are among our top priorities. Contact our office today to schedule a checkup and experience the benefits of early cavity detection for yourself.